Bought new at boat show, this boat has 30 hours on it. Boat has ac and heat, microwave,stove top, refrigerator, coffee maker, head with shower. Boat also has satellite radio, camper canvas, mooring cover's, bumpers, plus a e z loader tandum axle trailer. 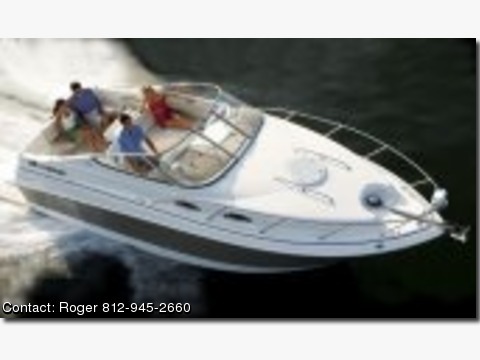 Has a hull warranty through 2009. Boat also has a new engine ( improper winterization) with a 18 month warranty on it.